This post is sponsored by NCircle Entertainment and The Gruffalo. 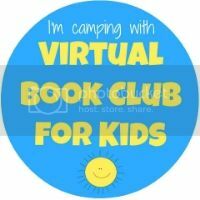 This is our fourth week of Virtual Book Club Summer Camp and it is FOREST FUN WEEK! Each post will feature activities and children's books related to forest animals and/or fun things you can do in the forest. If you're not yet subscribed to our weekly camp emails, go here to sign up. Spray bottles are pretty much our favorite thing to use when we go to the forest. If you want to see the simple activity we did last year when we went camping, go to my toddler camping post. 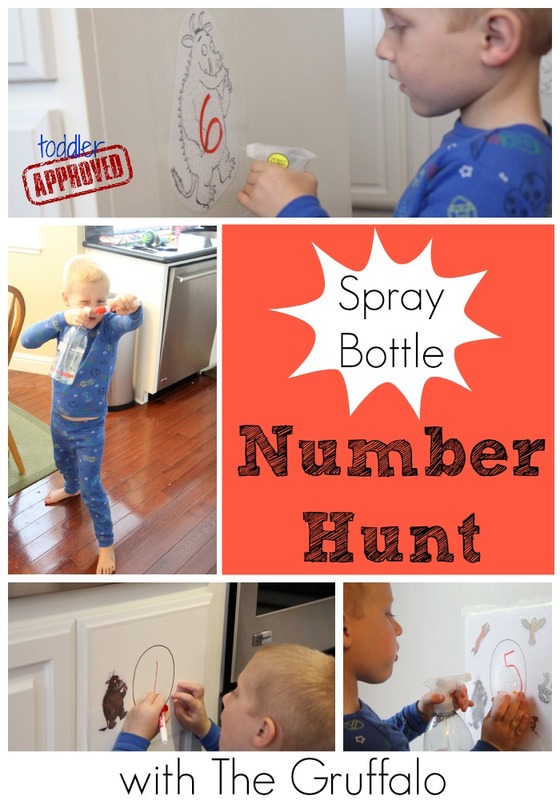 Since it is Forest Fun Week, we'll be sharing a simple spray bottle number hunt we did with The Gruffalo ! The Gruffalo is a fabulous book by Julia Donaldson that tells the tale of a mouse that is taking a walk through the forest and runs into a hungry fox, then an owl, and then a snake. To avoid getting eaten, the mouse invents the Gruffalo! Everything is more fun with The Gruffalo... so we are excited to include him and the other characters from the book in our learning activity today! You could try this game in the actual forest... or just set it up in your house or backyard. It is very versatile. We used this activity to teach and review simple 1:1 correspondence for numbers 1-5 along with how to write numbers 1-5. If you want to do numbers 1-10, you'll need to print out 11 copies of the Gruffalo printable (or just draw the animals yourself). Cut out the characters from your Gruffalo characters printables. If you used three copies then you should have 15 animals (three sets of each character). We LOVE these beautiful colored illustrations, so it is fun to use them for an activity! Next, tape or glue five characters onto one piece of cardstock. Make a big circle/oval in the center of the paper. You can either prep this ahead of time or have your child cut the animals out and tape/glue them onto the paper. Once each sheet of paper has between 1-5 Gruffalo characters on it, cover the front of the paper with contact paper and leave a thin 1 inch edge around it so that you can stick the paper to the wall. Hide each animal covered paper in a different spot in your house or yard on the wall (or ground). Some surfaces will adhere better to contact paper than others. Feel free to use painters tape if the contact paper won't stick to a wall/ground all by itself. Have your child grab your white board marker and spray bottle filled with water. Call out a number 1-5 and have your child hunt around the house to find the paper that shows than many Gruffalo characters on it. Once your child has counted the animals, you can talk about the characters together and name them and then have your child write the number he counted in the big oval in the center of the paper. After he has counted the animals and written the number correctly he can SPRAY the number and clean it off and then you can call out the next number. Spraying the number will most likely be their favorite part :) My son was so excited to count and write just so that he could erase the number! Have a towel on hand to catch any water drips. Once we went through and found and wrote each number, then we went and did it again... except the second time he had to write all of the numbers first and then find the biggest number (5) and wipe it clean and then go and find the next biggest number (4) and wipe it clean... and then go backwards in order cleaning each number until he got to the smallest number (1). My little guy wanted to pose with each number before he erased it... so I have quite a few pictures of him making silly faces. We did various versions of this number hunt all morning! The last version of this activity was a bit trickier. I said a mental math sentence (ie. 6 animals were in the forest and then 4 went away... 6-4=) and then my son solved the problem in his head and found the Gruffalo picture that showed that answer (2)... Then he wrote in the answer and then sprayed it and wiped it. This was such a fun challenge for him and he LOVED IT! He is one that is obsessed with math and doing mental math problems! Have you ever used a spray bottle to do math? Have you tried any math activities with The Gruffalo? Make sure to stop by tomorrow to see the other "forest fun week" activities we are sharing and also head over to The Educators' Spin On It for their VBC Summer Camp featured post. Also, don't forget to enter our "forest fun week" giveaways from The Gruffalo and Craftprojectideas.com. Go here for more details! Oh no! It's a sparkly Gruffalo! As part of our Forest Fun Gruffalo Week we will be joining in with the Gruffalo Adventures Facebook Contest and we'll be going on some Gruffalo adventures this week! Here's the Gruffalo puppet that my kids made today. Our Gruffalo plans to be all over the San Francisco Bay area this week! We'd love you to participate too! 1. Print off this Gruffalo coloring page. 2. Have your kids color it in or decorate it how they'd like. 4. Snap a picture of your Gruffalo adventures and include your Gruffalo. Participants that join the Gruffalo Adventures contest this month will be entered to win the super July prize of a $50 Amazon Giftcard and Gruffalo Puppet! 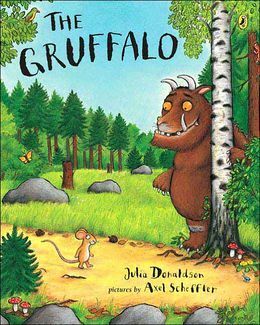 Stay tuned for another simple Gruffalo activity tomorrow! Disclosure: This post is sponsored by NCircle Entertainment and The Gruffalo as part of our Virtual Book Club Summer Camp and I was compensated for this post. All opinions expressed are mine. This is a fabulous activity for my kinesthetic and tactile child! I am thinking of how to simplify it even further for his age (4). I think if I lightly print the number and he traces over it might work.